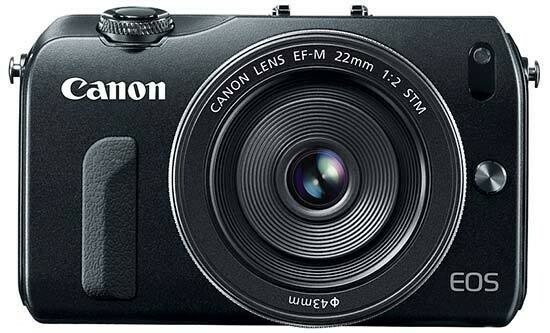 Reviews of the Canon EOS M from around the web. Canon hasn't exactly been quick out of the blocks in the race to launch compact system cameras and its first, the EOS M, comes four years after Panasonic kicked-off the whole shebang back in September 2008 with the launch of the Lumix G1. The EOS M is Canon's long-awaited entry into the mirror-less compact system camera market. Announced in July 2012 it employs an 18 Megapixel APS-C sensor and a new EF-M lens mount with a 1.6x field-reduction factor. Canon launched the format with two native M-mount lenses, a 22mm f2 pancake prime (35mm equivalent) and an 18-55mm f3.5-5.6 stabilized zoom (29-88mm equivalent), both of which feature STM stepper motors for quick and quiet movie AF. Meanwhile, the entire Canon EF and EF-S lens catalogue is supported with autofocus and auto exposure using the optional EF-EOS M adapter. Canon made its loyal customers wait quite a long time before it finally joined the mirrorless camera revolution, announcing the Canon EOS M back in June. The camera comes nearly four years after Panasonic kicked things off by “friending” Olympus - forming the Micro Four Thirds alliance - and introducing the Lumix DMC-G1, making Canon the last major DSLR maker to join the fray.